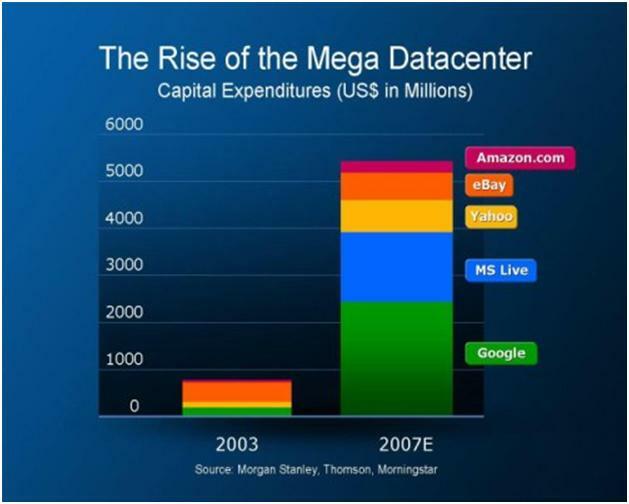 How big is Microsoft and Yahoo Datacenter combination? Found this graphic on Capital Expenditures (Source: Morgan Stanley, Thomson, Morningstar) for Google, Microsoft, Yahoo, eBay, and Amazon. Eyeballing the below graphic it looks Google and a combined Microsoft/Yahoo are equal.